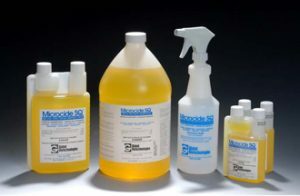 Effective in Killing pathogens and drug resistant bacteria. All natural wash aids in removal of pesticides, fertilizers and residues from your food. 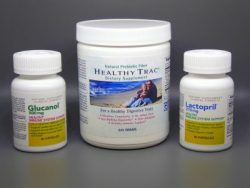 Feel your best with a healthy digestive tract and a stronger immune system. Kills bacteria and provides residual protection for hands. 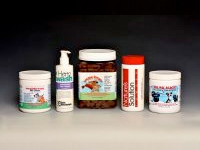 Maximizes and promotes the health and lifestyle of your pets. to Global Biotechnologies, Inc., a world leader in the research, development and manufacturing of professional infection control and health products. 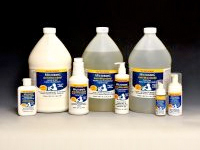 Global’s product portfolio includes antimicrobial skin care products along with hard surface disinfectants, immune system support products, a contaminant removal system for fruits, vegetables and meats, toxic gas removal products and health related pet products. Most of Global’s product sales are made to the medical and dental professions, government agencies and research facilities. Our products are used in 27 countries and are widely accepted wherever high potency, professional grade products are in use. See our partial Client list for an insight into the users of Global Biotechnologies products. Global Biotechnologies also sells its products to consumers who require professional products that have been tested extensively and are FDA and EPA registered. The Microsan Anti-Microbial Foaming Hand Sanitizer® is proven to kill 99.99% of over 100 susceptible bacteria, viruses, mold and yeast in as little as 30 seconds. It leaves a glove of protection that will continue to kill for over two hours. 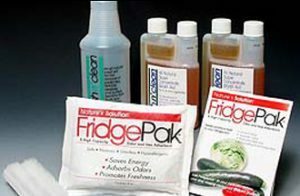 It not only out-performs the alcohol gels, it exceeds the federal standards as well. Unlike alcohol gels, our Microsan Anti-Microbial Foaming Hand Sanitizer® is safe and non-flammable. Microsan Anti-Microbial Foaming Hand Sanitizer® has germ killing power combined with skin moisturizing emollients makes your hands cleaner, with healthier and softer skin with repeated use. Small & compact, our foamer easily fits your pocket, purse or your car's glove compartment for the ultimate in germ protection. Microsan RX® Lotion kills 99.999% of over 160 different germs that cause Influenza, Strep, Ecoli, Staph, Athletes Foot, Acne, Jock Itch, Tuberculosis, Food Poisoning, Fungal Infections and the common cold. The Microsan RX® Lotion leaves a glove of protection on your hands and skin that will continue to kill for 4-6 hours. Our exclusive lotion is enriched with skin moisturizers, Vitamin E, Lanolin Oil and JoJoba Oil. When used regularly, it leaves your hands and skin in pristine condition, supple, well moisturized and silky smooth. Carry Microsan RX® Lotion with you for dining out, travel, school, and/or everyday running around for the ultimate in germ protection. Bio defense against the worst germs that threaten you and your family every day! Any area where lots of people gather, department stores, supermarkets, gas stations, day care centers and schools are repositories of germs left behind by others. Social interaction is part of our everyday lives - lots of touching, sharing and hand shaking. Although this is a necessary part of our day we can still properly protect ourselves against picking up nasty germs. Germ Protection Tip: Use your Microsan Rx® Hand Foaming Hand Sanitizer or Microsan RX® Lotion before you leave as part of your daily routine. Watch out for places such as food courts, washrooms & places where you will touch your face more frequently. These locations are ripe with bacteria and viruses left behind by others. The rest rooms are especially nasty. Only 33% of people using the rest room wash their hands before leaving! Even if you wash your hands, you will probably touch the towel holder or doorknob that was last touched by someone who did not wash their hands. Your hands are now contaminated with millions of germs that will be transferred to any food you handle like bread and rolls. Clean hands will protect you from secondary food poisoning. Germ Protection Tip: Try to touch as little as possible with your hands in the restroom. Clean your hands with Microsan Rx® Hand Foaming Hand Sanitizer or apply Microsan RX® Lotion before you go out. Most airports do little to disinfect the surfaces you touch, the seats you sit on and the restroom you use. Remember that your hands pick up 85% of all infectious disease germs. Germ Protection Tip: Clean and disinfect your hands with Microsan Rx® Hand Foaming Hand Sanitizer before you leave home. This will provide protection while you are at the airport especially when you touch those nasty handrails on escalators and stairs. Airplanes carry lots of infectious germs. Most surfaces in airplanes and especially tray tables, seat backs and the restroom have high levels of bacteria left behind by others. Antibiotic resistant strains of bacteria including tuberculosis are routinely cultured on those surfaces. Germ Protection Tip: Never use the pillows and blankets on an airplane. They are rarely changed, usually end up on the floor and are often loaded with dangerous bacteria and viruses from sick passengers. Clean your hands with Microsan Rx® Hand Foaming Hand Sanitizer before you board the plane and again after two hours if it is a long flight. Cabs, Buses and Rental Cars: How often do they disinfect the inside of cabs, buses and rental cars? A study of germs found in these vehicles show high levels of pathogenic bacteria and viruses along with germs imported into the US by visitors from outside the country. Think of your hands touching doorknobs, the steering wheel and radio, temperature and other controls, and how often we all touch our face! Germ Protection Tip: Touch as little as possible and keep those hands protected with Microsan Rx® Hand Foaming Hand Sanitizer or Microsan Rx® Lotion. How often do they change the bedspreads or disinfect the carpet? Both of these items have high concentrations bacteria, viruses, yeast and mold. Athletes foot organisms are constantly found in the carpets and sexually transmitted organisms are found on the spreads. Germ Protection Tip: Keep your feet covered and never use the bedspread - take it off the bed and throw it in the corner, then quickly clean your hands with Microsan Rx® Hand Foaming Hand Sanitizer before you touch your face! Microsan Rx® Anti-Microbial Sanitizers leave an invisible glove of infection protection. 85% of all infections are picked up with your hands. Your hands touch just about everything and some of them are really nasty. Most people touch their mouth, nose, eyes or ears 1-3 times every five minutes. These are portals of entry into your body and if you have disease-causing germs on your hands you will become sick.